FIFPro, the worldwide players’ union, and FIFA have today (on Wednesday) announced the final 55-player shortlist for the FIFA FIFPro World11 2017 (see list below). 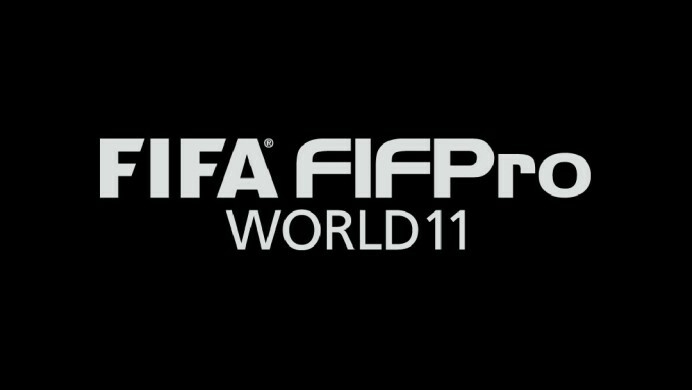 The FIFA FIFPro World11 is decided by the players, for the players. It involves votes from more than 25,000 professional footballers from 75 different countries. They each select one goalkeeper, four defenders, three midfielders and three forwards. 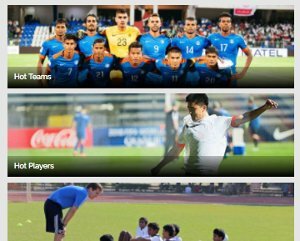 FIFPro and its national affiliates are responsible for gathering votes from professional footballers worldwide. Goalkeepers (5): David de Gea (Spain/Manchester United), Gianluigi Buffon (Italy/Juventus), Jan Oblak (Slovenia/Atlético Madrid), Keylor Navas (Costa Rica/Real Madrid CF) and Manuel Neuer (Germany/FC Bayern München). Defenders (20): David Alaba (Austria/FC Bayern München), Jordi Alba (Spain/FC Barcelona), Jerome Boateng (Germany/FC Bayern München), Leonardo Bonucci (Italy/Juventus/AC Milan), Daniel Carvajal (Spain/Real Madrid CF), Giorgio Chiellini (Italy/Juventus), Dani Alves (Brazil/Juventus/Paris Saint-Germain), David Luiz (Brazil/Chelsea), Diego Godin (Uruguay/Atlético Madrid), Mats Hummels (Germany/FC Bayern München), Philipp Lahm (Germany/FC Bayern München), Marcelo (Brazil/Real Madrid CF), Javier Mascherano (Argentina/FC Barcelona), Pepe (Portugal/Real Madrid CF/Besiktas), Gerard Pique (Spain/FC Barcelona), Sergio Ramos (Spain/Real Madrid CF), Thiago Silva (Brazil/Paris Saint-Germain, Samuel Umtiti (France/FC Barcelona), Antonio Valencia (Ecuador/Manchester United) and Raphael Varane (France/Real Madrid CF). 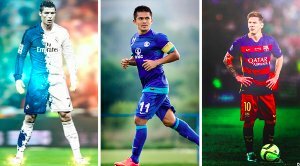 Midfielders (15): Sergio Busquets (Spain/FC Barcelona), Casemiro (Brazil/Real Madrid CF), Philippe Coutinho (Brazil/Liverpool), Eden Hazard (Belgium/Chelsea), Andres Iniesta (Spain/FC Barcelona), Isco (Spain/Real Madrid CF), N’Golo Kante (France/Chelsea) Toni Kroos (Germany/Real Madrid CF), Nemanja Matic (Serbia/Chelsea/Manchester United), Luka Modric (Croatia/Real Madrid CF), Mesut Oezil (Germany/Arsenal), Paul Pogba (France/Manchester United), Thiago Alcantara (Spain/FC Bayern München), Marco Verratti (Italy/Paris Saint-Germain) and Arturo Vidal (Chile/FC Bayern München). Strikers (15): Gareth Bale (Wales/Real Madrid CF), Karim Benzema (France/Real Madrid CF), Edinson Cavani (Uruguay/Paris Saint-Germain), Cristiano Ronaldo (Portugal/Real Madrid CF), Paulo Dybala (Argentina/Juventus), Antoine Griezmann (France/Atlético Madrid), Zlatan Ibrahimovic (Sweden/Manchester United), Harry Kane (England/Tottenham Hotspurs), Robert Lewandowski (Poland/FC Bayern München), Romelu Lukaku (Belgium/Everton/Manchester United), Kylian Mbappe (France/Monaco/Paris Saint-Germain), Lionel Messi (Argentina/FC Barcelona), Neymar (Brazil/FC Barcelona/Paris Saint-Germain), Alexis Sanchez (Chile/Arsenal) and Luis Suarez (Uruguay/FC Barcelona). The final FIFA FIFPro World11 will be announced at The Best FIFA Football Awards ceremony at the London Palladium Theatre (Argyll Street) on 23 October 2017. During the ceremony The Best FIFA Men's player, the best FIFA Women's Player, The Best FIFA Men's Coach, The Best FIFA Women's Coach, The Best FIFA Goalkeeper, The FIFA Puskas Award, The FIFA Fan Award and the FIFA Fair Play Award will also be presented.